Meetifyr is great for gathering together people's availability but sometimes its difficult to tell which days suit everyone best, especially when there's lots of people involved. To tackle this we've introduced a new feature today which sorts all the available days by the most appropriate. 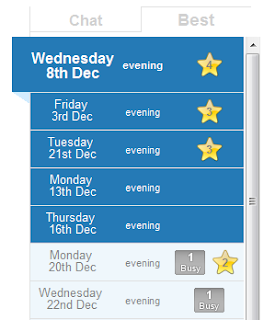 As selections change the list updates to show which day suits everyone based on when people are busy and which days they prefer. 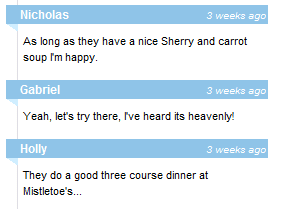 We thought the comments on Meetifyr were looking a bit plain so we've made quick change to make them look more appealing. We're pretty pleased with how it turned out so we might look at applying this effect of giving depth to elements elsewhere. Watch this space!